The sound in a football stadium can easily measure 90 – 100 decibels, and even higher when the crowd is really screaming. You’ve probably experienced this roar of the crowd whether you have been at the game to feel it or heard it while watching it on TV. How about other loud sounds that you may be exposed to? If you work on a construction site, you may be aware that a jackhammer can reach 110 decibels or more. From halftime to hammer time on the job, noisy situations can leave your hearing feeling muffled and cause a ringing in your ears (tinnitus). You may think this discomfort is temporary, but even short bursts of loud noises anywhere you are can lead to irreversible hearing damage. Think about all the noises and sounds that you are exposed to throughout the day. On a constant basis we hear traffic, construction, listen to headphones, even the noise that comes from mowing our lawn or driving a snowmobile is louder than you might think. You may work at a job where you are required to wear hearing protection, but you also need to consider how to protect your hearing outside of work. Have you ever thought about the effect loud sound has on your hearing and what you can do to protect yourself from suffering hearing loss? You may not realize how many common noises you are exposed to that rise above recommended safe levels. More importantly, hearing damage is completely preventable. Watch this short video to learn more. Military personnel who fire weapons, explosives and operate equipment such as tanks, helicopters, aircraft, etc. Many people also wear headphones, but how do you know if the settings are at a safe level while you use them at work, when working out, for gaming, commuting or at any other time? Dangerous exposure to loud sounds can come in short bursts or consistently over time. You need to consider the short- and long-term effects this sensory abuse can have on your health. What are the full effects of loud? Do you realize that in the United States, noise exposure is associated with multiple diseases that are among the top causes of death, including heart attacks, heart disease, stroke, and high blood pressure?2 Being exposed to loud sounds can also contribute to sleep disorders. The inability to hear is also associated with several negative emotions, including anger, disappointment, dissatisfaction, withdrawal, helplessness, depression, anxiety, distraction, agitation, exhaustion, and stomach discomfort.2 To learn more about the effects of hearing damage, read this informative study by Dr. Sally Lusk. How can you protect against loud? No matter what you are exposed to, you need to protect your vital sense of hearing. There are different types of hearing protection that may suit your needs. 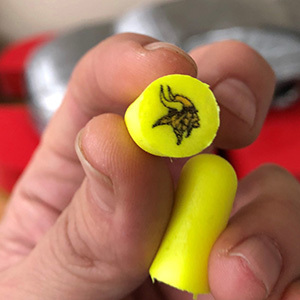 Earplugs that can come in a variety of shapes and sizes. Earmuffs that go over the ears. Banded hearing protectors have soft ear tips on a flexible band, which allows you to quickly take-off and on as needed while keeping your hearing protection on you at all times. Think of NRR like miles-per-gallon (MPG) for a car. If the car is in optimal condition and always going a consistent speed then the MPG will be achieved, but in real life, there are all kinds of variables that will affect the car’s performance like weather and/or how you drive. The analogy can be made to hearing protection for any individual, as the actual attenuation achieved will be affected by how it fits, what you are exposed to and other factors. While on the job, are you properly safeguarding yourself from loud? 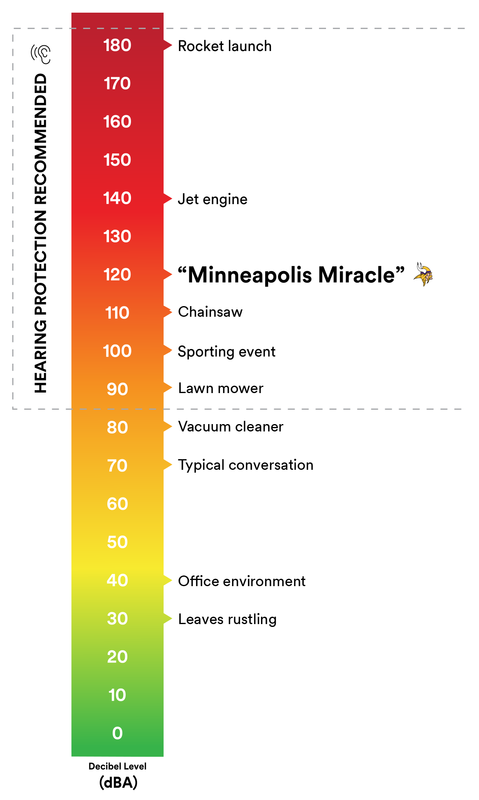 According to U.S. OSHA, employers are required to provide a “continuing, effective hearing conservation program” for employees who are exposed to hazardous noise. Consult with your company to see what hearing protection options are available to you and double-check you are wearing protection correctly. Our Center for Hearing Conservation has many tools and resources that can help you understand how to wear hearing protection properly. So, remember, the next time you are out at a loud sporting event, at your job, or even tackling a do-it-yourself project around the house with power tools, consider the total exposure of noise that is surrounding you and make a point to protect yourself. A small investment can help prevent permanent damage and still allow you to enjoy all the sounds that life has to offer. Your ears may be small, but they play a big role in your life. Protect them! Have You Heard: What’s your least favorite sound and why? Have You Heard: What’s your favorite sound and why?